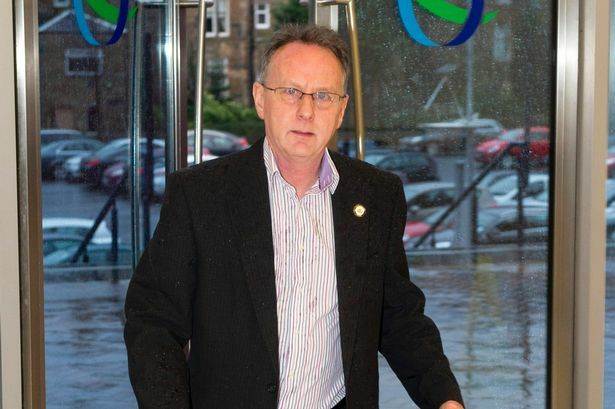 Clyde chairman John Alexander has told the News East Kilbride remains top of the list for the club’s new home, despite announcing last month they were looking at alternatives to the town. With East Kilbride Community Trust now three years into their negotiations with South Lanarkshire Council over a proposal for a new stadium at Langlands, conditions attached to the land by the European Commission have proved a stumbling block. Hopes of the stadium application moving forward any time soon were quashed by South Lanarkshire Council this week after they revealed the proposals submitted by EKCT will not be discussed at this month’s Executive Committee on November 19. This means the earliest the council will assess the charity’s £17million project would now be at the following meeting on December 17. However, Bully Wee chief Alexander insists East Kilbride remains Clyde’s desired location for a new home. He told the News: “It’s a slow process which we have no control over. But for us, East Kilbride remains a really good location for the club and we would really like to be there. “One thing I am clear about is the stadium East Kilbride Community Trust are planning will happen — the only issue is the timescale. “We don’t have certainty over that and we are pulling together alternatives in the event that timescale drags on even further. “East Kilbride is not off the list and still stays top of it for the moment. “But we need other options in the unexpected event the East Kilbride project doesn’t continue. “At this stage, I would have expected us to be very clear on where our future lies but that is not the case. Clyde still have a lease at their current Broadwood home in Cumbernauld for another two-and-a-half seasons, which would take the club into 2017. Alexander added: “We have the ability to extend that lease, so we could be there as long as we like, subject to the usual commercial agreements. “We are looking at alternatives within the South Lanarkshire area, but I wouldn’t want to be anymore specific on that at the moment.